Joe Migadel focuses on assisting deserving applicants who can't qualify for a traditional mortgage right now, get into a home of their own years sooner than they could on their own. 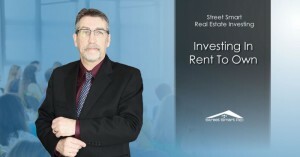 Joe works with investors who benefit from the security and double-digit returns that are available with his totally hands-free investing model that is secured by Real Estate. In addition to the above-average returns, there is a 100% return of invested capital in 2-4 years. Joe and his team have over 20 years experience and a proven system that creates a win-win outcome for the Investor and Tenant Buyer!